5 Tips: How to Hire the Best Easton Roofing Contractor in MA | Boss Services Inc. It can be difficult to know which roof system solution is best for your home, just as it can be difficult to know which Easton roofing contractor is the right one for your remodeling and renovation services. You need to know which questions to ask so you can discover which contractor will provide you with the best roofing system in Easton. The tips provided in this article will help make choosing the right contractor a lot easier. You can start by hiring a local contractor. There is a huge advantage to hiring a contractor who has experience installing roofing in the Southern New England area. The requirements for roofing are different in the northeast than they are in the southwest. Make sure that the company you hire has at least a decade of experience providing roof system solutions in Massachusetts. You also have more accountability when you hire local. The longer the company has been around in your local area, the more likely you will be able to come back to them five, ten or fifteen years down the line if something goes wrong with your roof. Is your Easton roofing contractor insured? When you call for a quote on any remodeling and renovation services, make sure to find out whether or not the contractor has liability insurance and worker’s compensation. If you aren’t sure, you can even ask to see the certificates and then call the insurance carrier so you can confirm for yourself whether or not they are valid. You might be surprised at how many handymen and small businesses are NOT insured. Homeowners only discover this too late when something goes wrong with the installation of their new roofing system in Easton and try to make a claim. The best way to ensure that the bids you are receiving for your roofing repair or replacement are equal, is to make sure that each contractor has the proper insurance coverage. 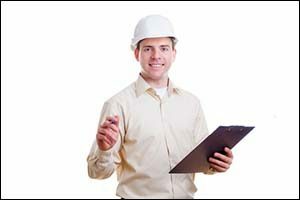 When you get a quote from a contractor, make sure that it is a written quote. The job details should be included in with the quote, including the materials that will be used and the work that will be done. This will give you a written statement about what to expect when you hire an Easton roofing contractor. As the homeowner, you are in control. Make sure you are satisfied with the work that is completed before you make your final payment for your new roof system solution. Ensure that the terms for payment on the job are also discussed prior to any work that is being done, and that the terms are followed to the letter by both parties. This helps to avoid any misunderstandings, confusion or issues regarding payment and the work being done. When you start looking at the different bids you get for your new roofing system in Easton, don’t just look at the price and make your selection according to which one is the cheapest, the most expensive or even the guy in the middle. Use other criteria to make your selection, based upon the reputation and references of the contractor, the type of materials that will be used, the quality of work that you have seen them do for other homeowners, and the rapport that you have with the construction supervisor for the project. While everyone is on a budget and it is always good to save money, it is important to realize that the guy who always comes in low on the bid is usually cutting corners somewhere. You need to evaluate each bid for much more than the price that is given. Was there a big storm in your neighborhood recently? Did a lot of houses experience damages that made the news? Big trees falling, power lines downed and maybe a couple of shingles blowing off? This is like bait to what the industry often calls “storm chasers,” handymen and small time roofing companies that go door-to-door soliciting inspections and repairs after a big storm. Choose your roofer from a reference that you get from a friend or a neighbor, not from some salesman coming door-to-door. If someone does come to your door, ask for references. You will also want to speak with your insurance agent. They are often very familiar with the companies in the area and can tell you which ones are the best to use for post-storm repairs. One way to find out if an Easton roofing contractor is going to be a good vendor is to contact them after your initial visit and see how long it takes for them to respond. If they aren’t available, keep track of how long it takes for them to call you back. If you asked for a written quote or additional information, pay attention to whether they send it or not and how long it takes. This holds true for all remodeling and renovation services. Don’t make excuses for them about being busy or be ridiculously understanding. If they aren’t returning your calls when they are trying to woo you and get your business for a brand new roofing system in Easton, chances are high that they will be next to impossible to reach in the middle of the project. Call Boss Services, Inc. for a QUOTE on your new roof system solution, repair or remodeling and renovation services at (508) 297-0635. We have provided top quality services to clients throughout Massachusetts since 1989 and are well-known in the local area. You can count on the knowledge, experience and craftsmanship from our team of highly trained technicians for your new roofing system in Easton.